Our condensation removal device is the easiest way to keep your bilge or sump pumps dry and protected. Our units function on the Venturi principle, which uses a vacuum effect that pulls the condensation water out of the drain pan, combines it with any discharge water, and sends it overboard where it belongs. This compact unit is 6 inches long including the inlet/outlet water hose barbs. 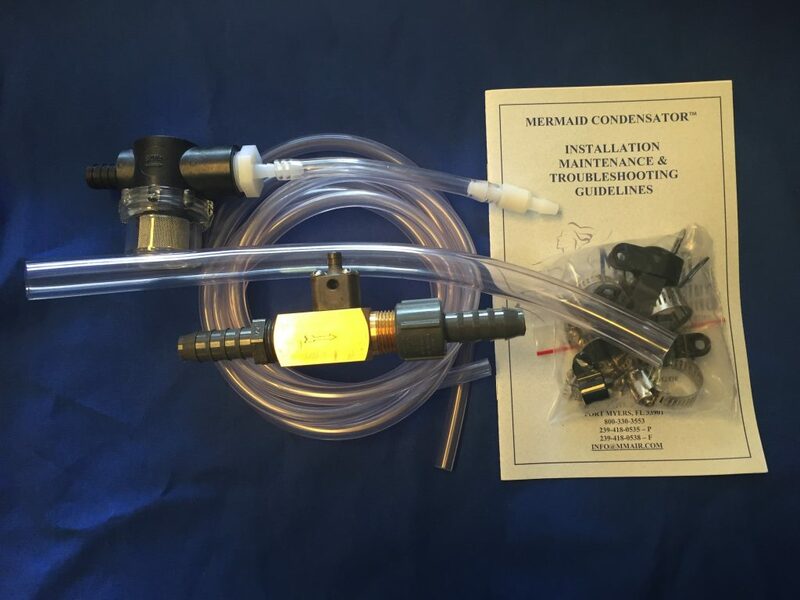 As long as you keep this marine condensator clean, it will work hard for you. For your convenience, we ship all units with everything you need for installation. Just like every other Mermaid Manufacturing product, our marine condenser units are made in our factory by our skilled technicians. If you have any difficulty with installation, just call us. Someone is always here to help you.